Now I've always supported and love going to the Tastefully Food & Beverage Expo each time they have it, around three to four times a year. 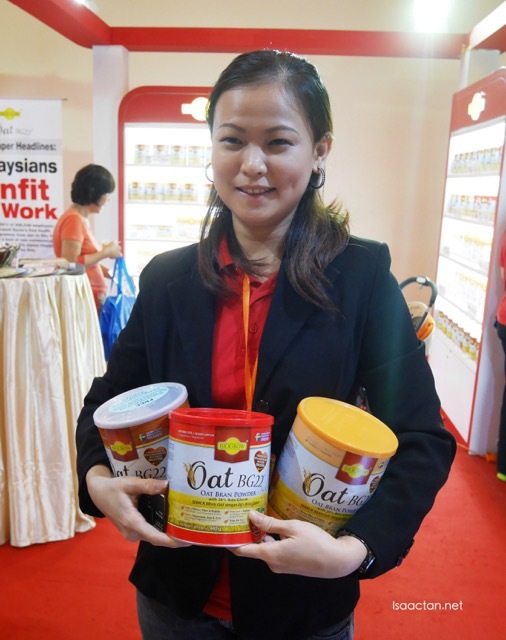 The most recent one, The 9th Tastefully Food & Beverage Expo 2015 was held at Midvalley Megamall on the 31st July to 2nd August, with more than 100 exhibitors and brand joining in including major exhibitors like F&N, Biogrow Oat BG 22, Auric Pacific and more. 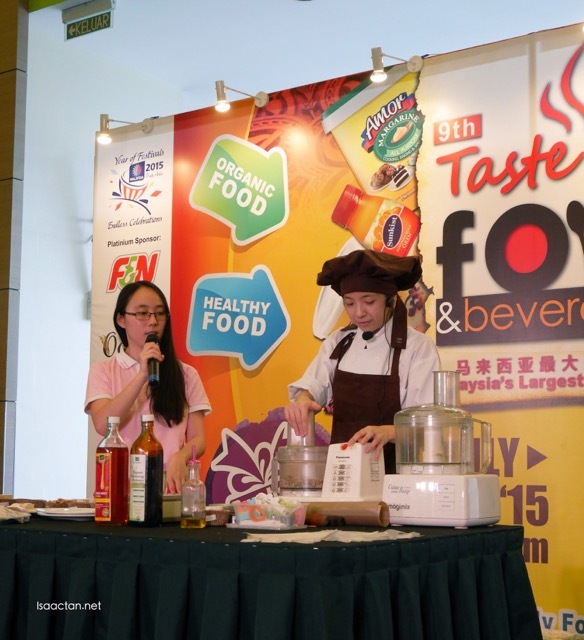 Save the date for the next one at SPICE Penang from 28th to 30th August 2015. 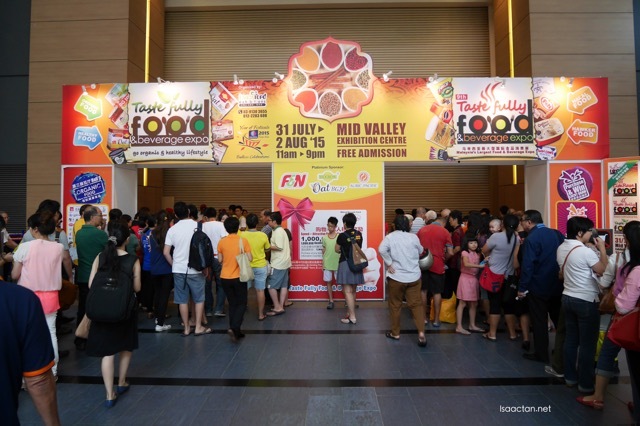 Held at Midvalley Megamall Exhibition Centre 31st July to 2nd August 2015, it was the biggest food and beverage expo in Malaysia with around 240 participated booths and overseas exhibitors from Japan, Korea, Egypt, Hong Kong, Indonesia, Taiwan, Australia and America to join in as well. Pretty big expo if you asked me, and definately worth a visit. I'll be listing down some of the brands and products which I had the chance to visit during the expo. Check them out below! Due to the vast number of booths, I will be doing five in this post and five more in a subsequent blog post. Bean & Beans were basically these cute cups of instant deserts to cater for folks always on the go. Imagine 'tong sui' in a cup, instant and hassle free and you get the idea. With five varieties to choose from including red bean, red bean with coconut, green bean with coconut and wholesome goodies, each of these cups can be prepared in under 10 minutes. Red bean tong sui for you sir? 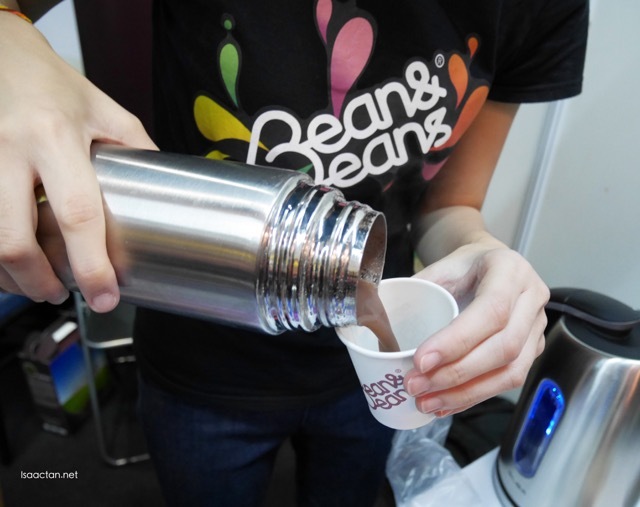 Bean and Beans had an offer at the expo with 2 cups going for only RM5. Pretty worth it. I tried their red bean soup, and it came off being really thick and sweet. Perfect for the sweet tooth, but a tad too sweet for me. Check them out at their website (www.beans.my) and facebook at www.facebook.com/BeanBeansMY . Their products are also available at speedmart 99, 7-11 and Giant hyper-mart, Cold Storage, Jason’s Foodhall and D’Mercato Marketplace. Serving some of the most fragrant sesame oil I've smelled and tasted for a while, LSH Sesame Oil Specialist really does come off as being experts in what they do. It's a local brand, from Muar to be exact, they produce sesame oil for your everyday enjoyment, or for those who need it to cook the dishes during after birth confinement. Yes, Chinese folks will understand the tradition of having lots of meat dishes doused in sesame oil to rid the air inside the mummy's stomach. They market it under the Marathon Globe Brand. 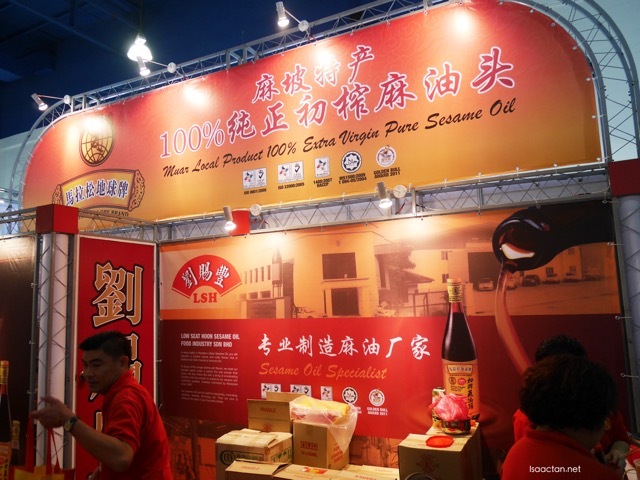 LSH Sesame Oil Specialist were having multiple offers at Tastefully Expo, where they are selling at a promotion price of RM14 for 640ml bottles. If you buy two items at RM30, you get a free gift. 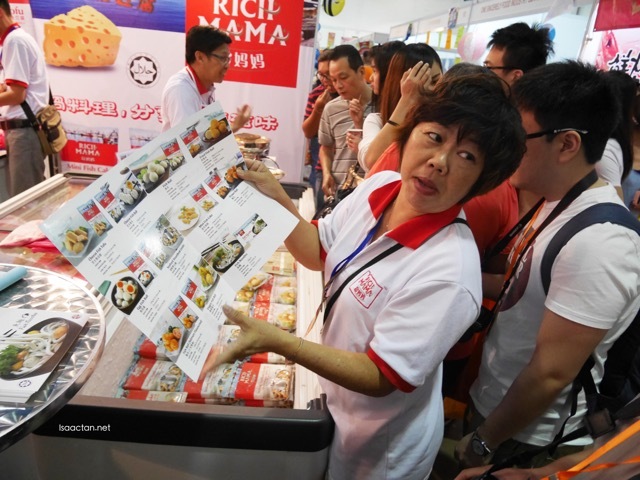 Buy 3 combination packets of Mi Suah @ RM 15.00 and you get a free mini bottle of Sesame Oil. I personally would recommend their products as it is indeed fragrant, as in you could smell it a distance away the moment their promoters started to deep fry food using the sesame oil. Check them out at their website (http://www.lowseathoon.com) for more information. Now I've heard before the Cheffaro brand, with its signature green tomato colour. 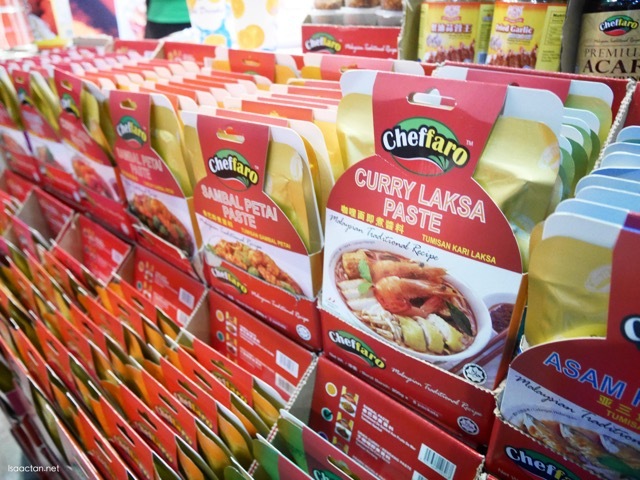 They are a well-known brand in Malaysia specialising in Authentic Malaysian Cuisine Pastes. 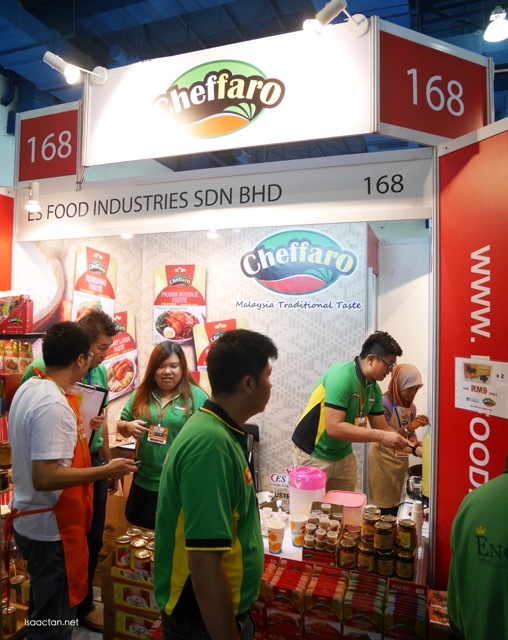 A quick drop by at their booth, where the marketing folks explained that Cheffaro aims to bring out the best of Malaysian cuisine to all home cooks, helping even the most inexperienced cook to achieve the best result in Malaysia’s Cuisine. Perfect for cooking newbies like myself, easy to use, simple to cook. 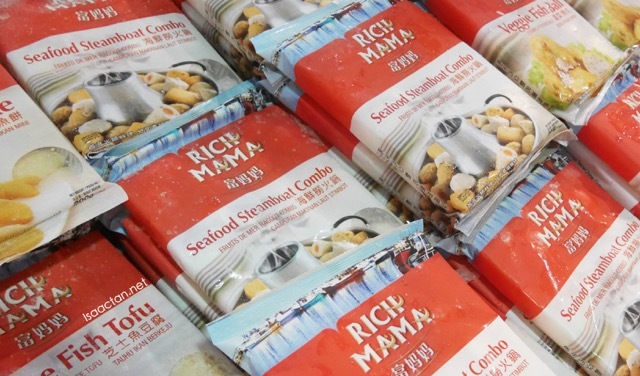 A brand under the Fusipim Brands, Rich Mama offers lots of frozen noms including Cheese Fish Tofu, Seafood Steamboat Combo, Fish Ball, Veggie Fish Ball, Mini Fish Cake, Fish Tofu, Cuttlefish, and Imitation Crab Claw. 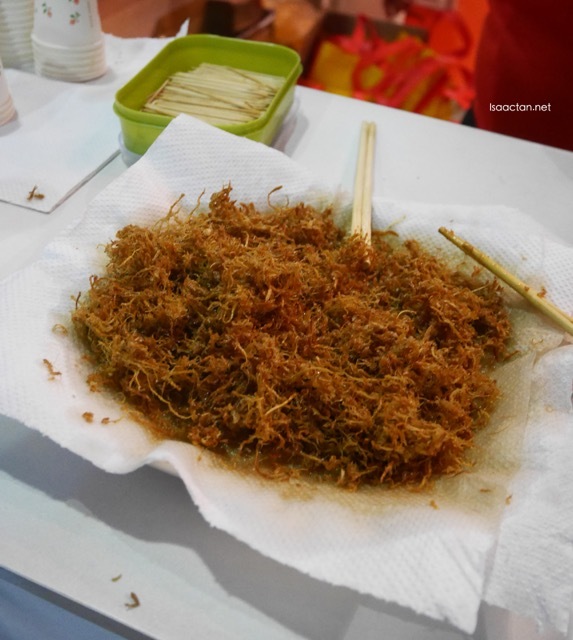 They are famous for their steamboat selections and ready-to-cook frozen seafood. It's all about getting that perfect steamboat ingredient. The company started business in 1988. In 1993, the company expanded their business with the purchase of three acres industrial land (current). With the introduction of the state-of-the-art machineries in the manufacturing process and increased in manpower, the company could now produce a wider range of products with a greater varieties. BG22, my favourite bran powder, for a healthier me! 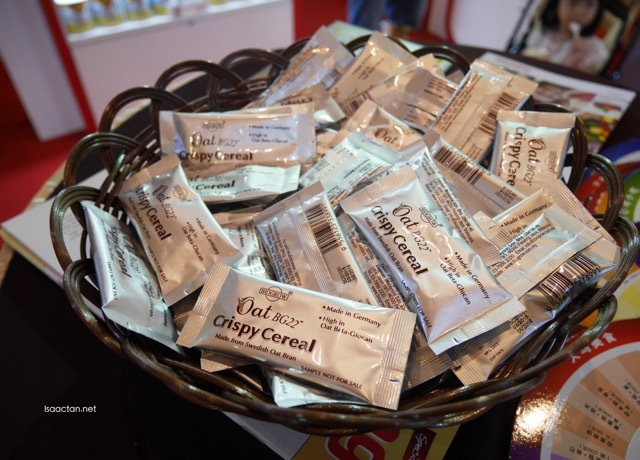 There were more healthy products at Tastefully Expo this round, with Biogrow being one of the bigger ones. Founded on the principle of providing good health based on the concept of Nature, Biogrow launched the ‘Re-Natured® Nutrients’ vitamins and minerals into the market. About 15 years ago, a scientific breakthrough was accomplished for the first time enabling the commercial duplication of the natural biological processes by which plants combine nutrient components into food concentrates. This historic milestone made available a new range of nutrient supplements with unparalleled levels of Absorption, Retention and Utilization. Two new flavours which is the Peach flavour and the Strawberry Flavour were launched this year, to make their product more palatable. Some folks love to have some flavouring in their bran and oats, just because the plain ones were just too, plain. 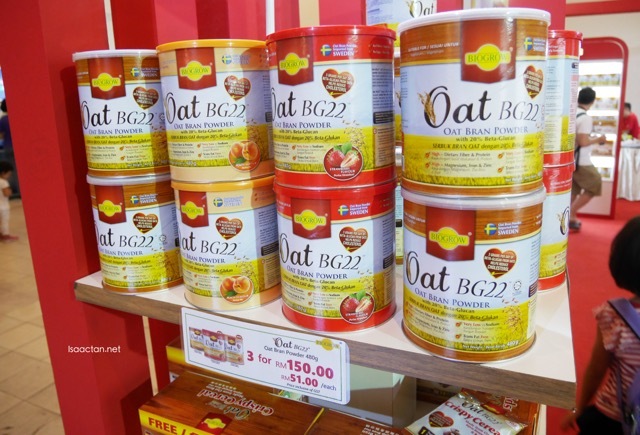 Offers by BioGrow at the expo include getting 3 tins of Oat BG22 at RM150 (RM51 each), Oat Crispy Cereal 12’s + 2’s at RM 52 each, and Oat Bran Powder Travel Pack 30s x 9g at RM47. For more information, you can check out their website at http://biogrow.com.my/ . They are available at Chain Pharmacies like Guardian, and Caring Pharmacy. 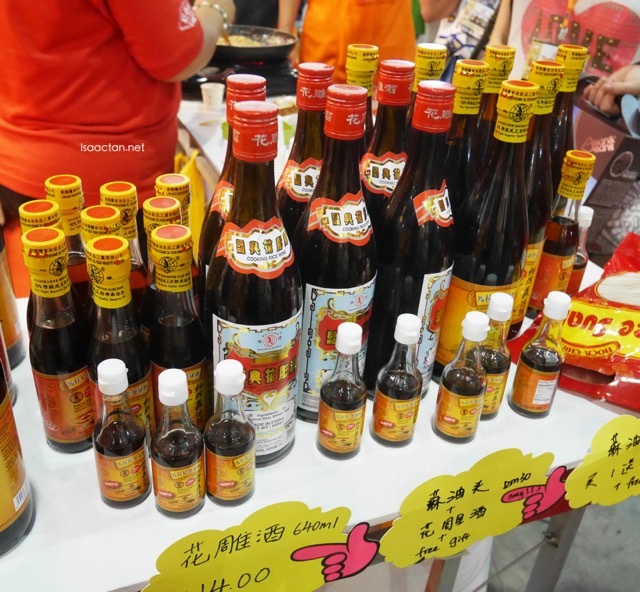 To be continued at my next post linked at http://www.isaactan.net/2015/08/9th-tastefully-food-beverage-expo-2015-midvalley-megamall-part-2.html ... 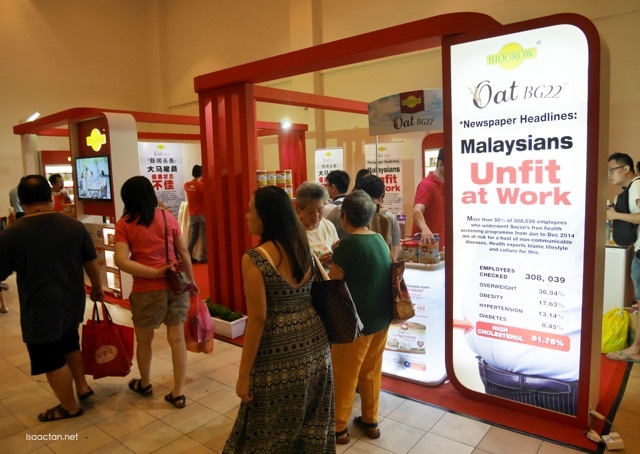 Check it out for more writeup on the booths and brands available at The 9th Tastefully Food & Beverage Expo 2015 @ Midvalley Megamall ! Save the date for the next one at SPICE Penang (previously known as PISA) from 28th to 30th August 2015.